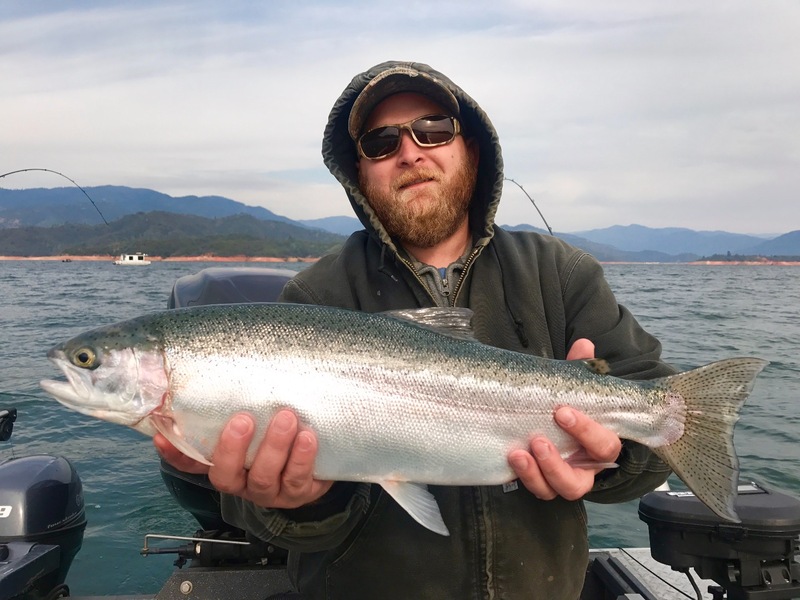 Shasta Lake trout bite still going strong! Today I had a group on Shasta Lake and we were fishing for trout. The early bite was slow, but things picked up around 8:00 am. By 11:00 we had limits of healthy, fat rainbows. The bait has scattered and so have the trout. After trolling around a bit near Bridge Bay, we finally started marking some good numbers of fish and we found the bite at 105-110' feet. The standard Sling Blade, Humdinger combo worked well again today. I did have a chance to try some new gear and we did pretty darn well as expected. 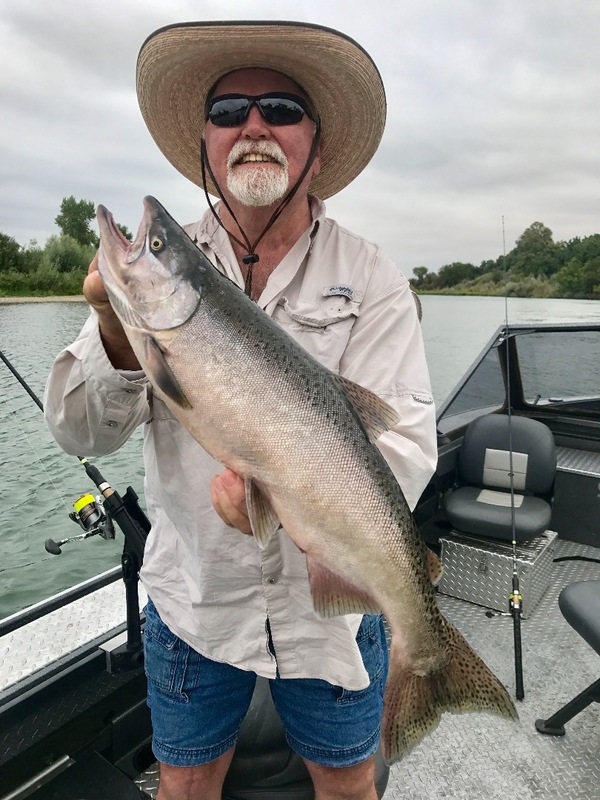 Things on Shasta are going to tighten up a bit by the end of the month so if your looking for some good action, now is the time to get out there. 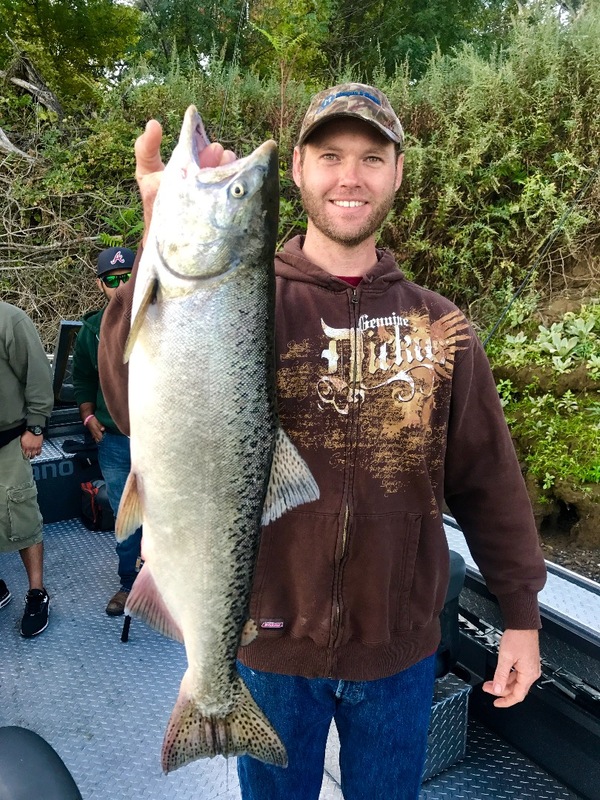 First drift Sacramento River King! Good day on the Sacramento River!